Have you ever given your child a massage? What benefits will your child gain from a massage? Oil based massages can be very relaxing and soothing and help to reinforce the bond between parent and child. Chinese massage or Tui Na does the same and much more and can be done through clothing. 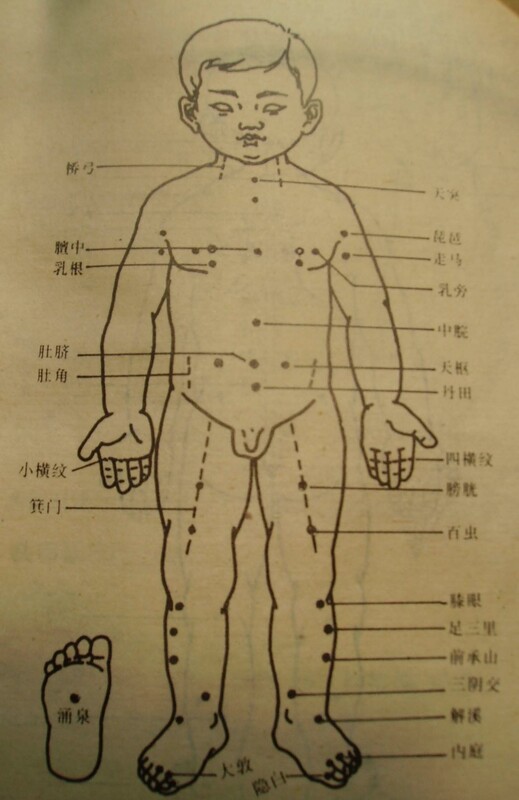 Chinese remedial massage was developed more than 2000 year ago, it is a safe, non – invasive, low cost and extremely effective therapy, for the treatment of a wide variety of common childhood ailments. 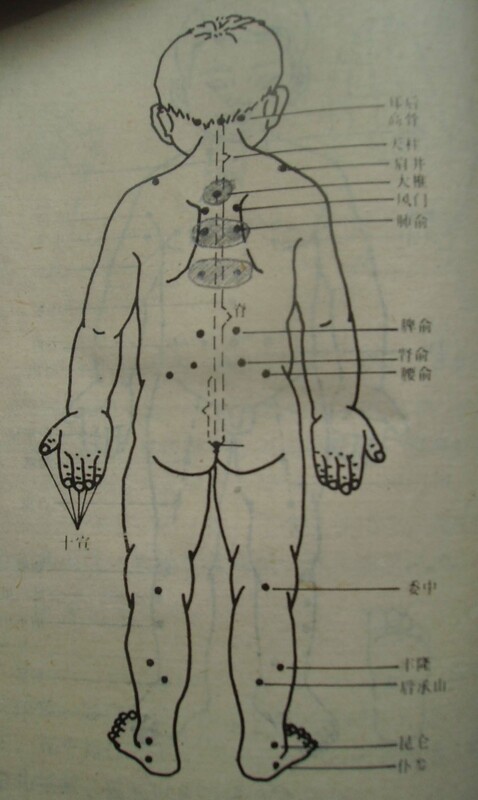 Unlike Western oil based massage, Chinese massage uses very specific protocols or treatments for specific ailments. Most common childhood complaints respond in only one or two treatments. 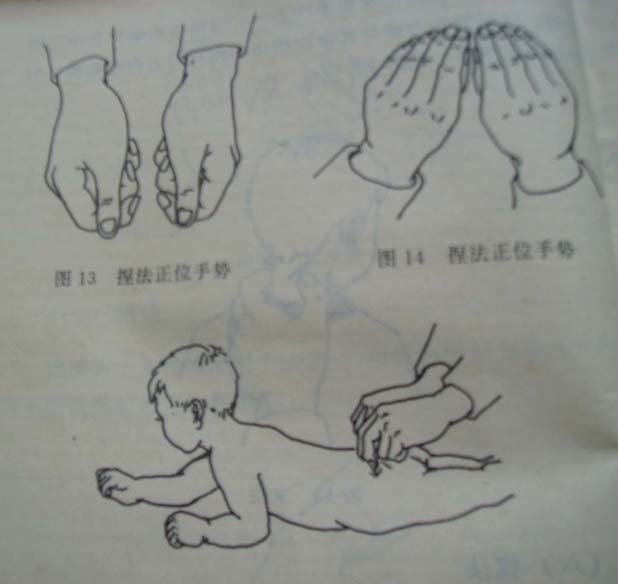 Here we introduce some basic technique of Chinese remedial infant massage to maintain the well being of your child. b . Start from the neck to the lower back, use index and middle fingers to go up and down 30-50 times. This may help your child with fever, diarrhea, constipation and chronic diseases. 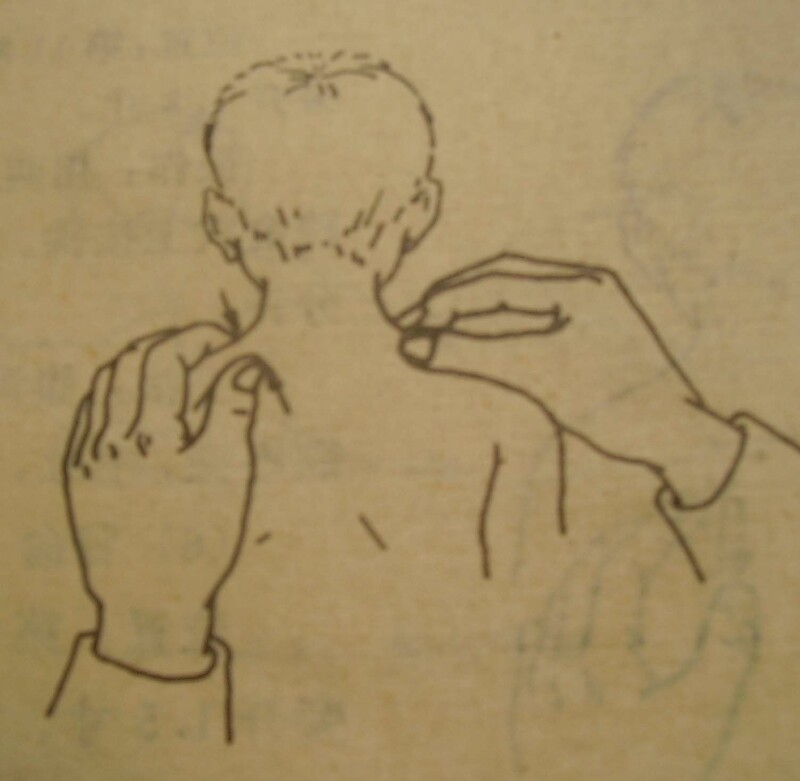 Begin between the scapula, use both thumbs for about 30-50 times. This may help your child with fever, cough, or is shortness of breath. (See picture 2). Stomach massage for stomach ache, diarrhea, vomiting. a. Start from the xiphoid (base of sternum) to the lower ribs in front of body. 30-50 times. 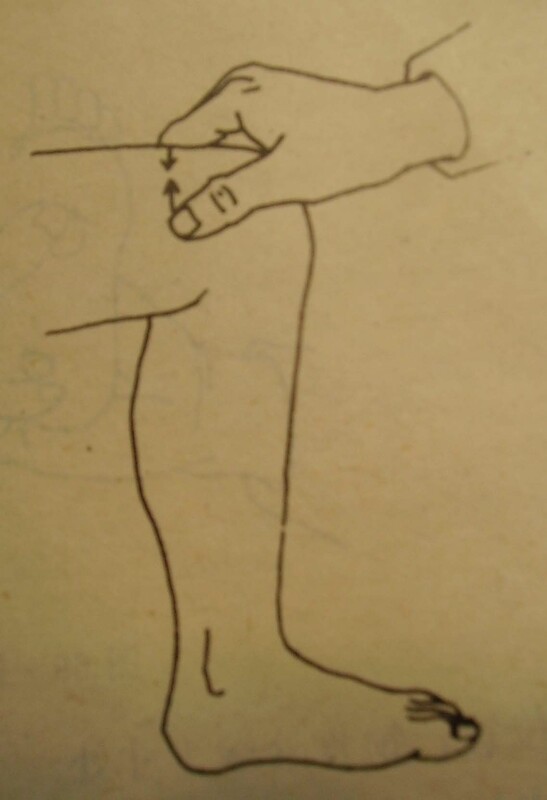 c. Repeat massage 100 times (see picture 3a). 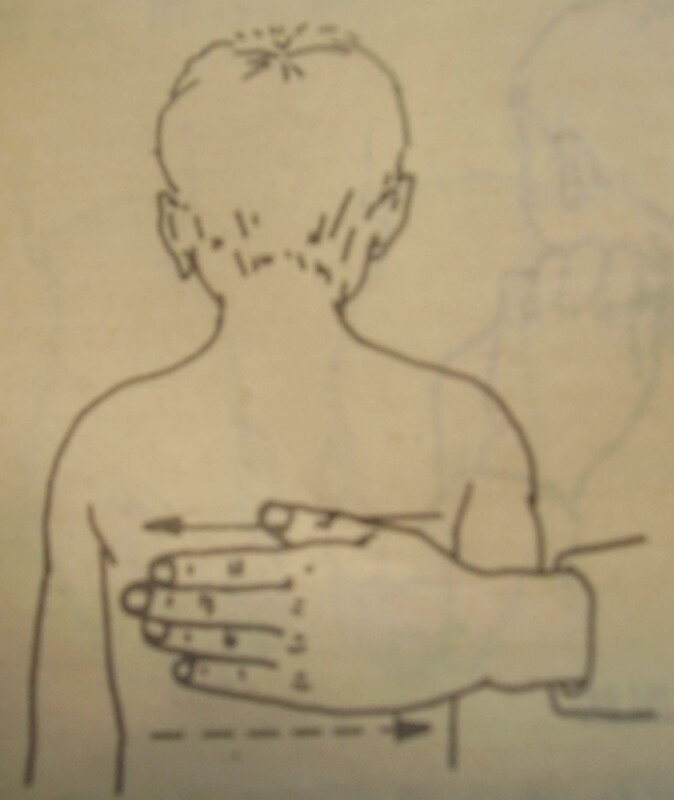 d. Repeat massage 10-15 times (see picture 1a). 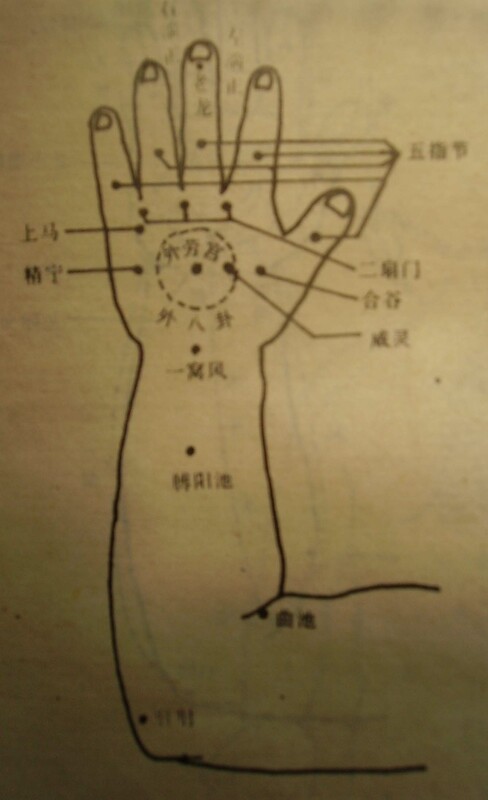 a. Massage 4th finger 300 times, notice the direction. 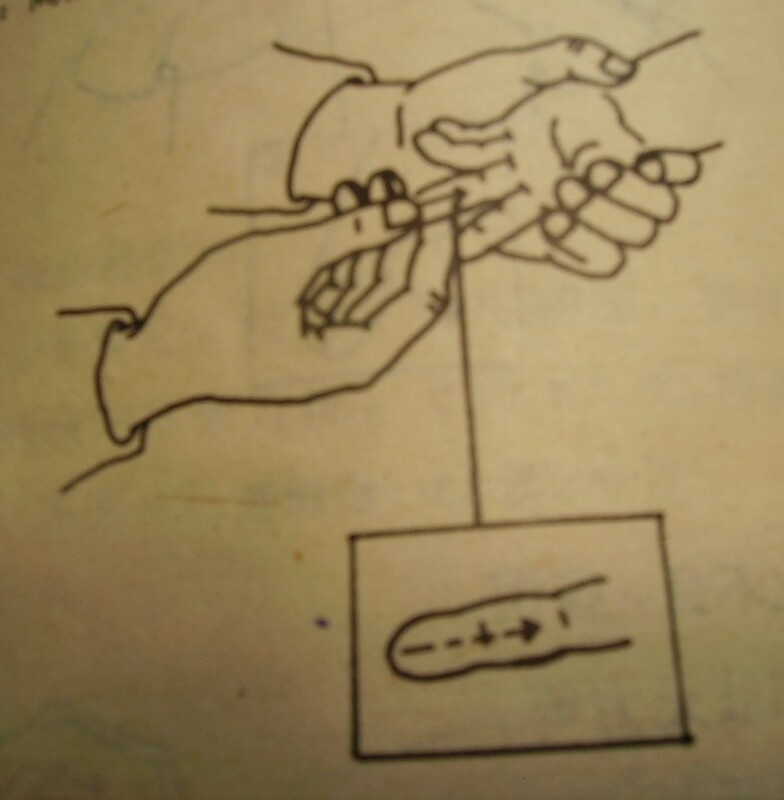 (See picture 6a). 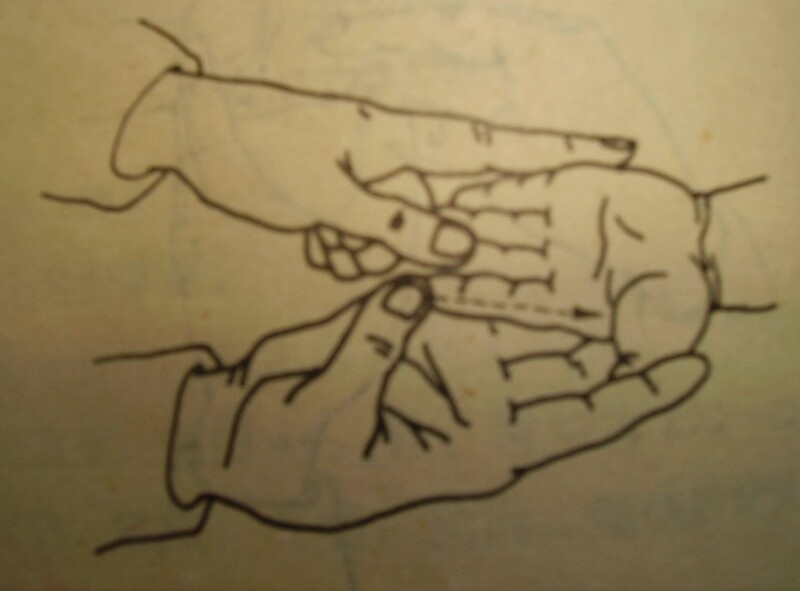 b. Massage Index finger for 100 times. Use opposite direction of picture showed. e. Repeat massage 1a for about 5 minutes.